Gui Minhai, 53, ran a publishing company in Hong Kong known for books critical of the Chinese government. He disappeared in Thailand where he was on vacation in October 2015. Chinese state media accused him of publishing books that slandered Communist Party leaders. Four other publishers taken by the Chinese were released but Gui remained in custody until October last year. 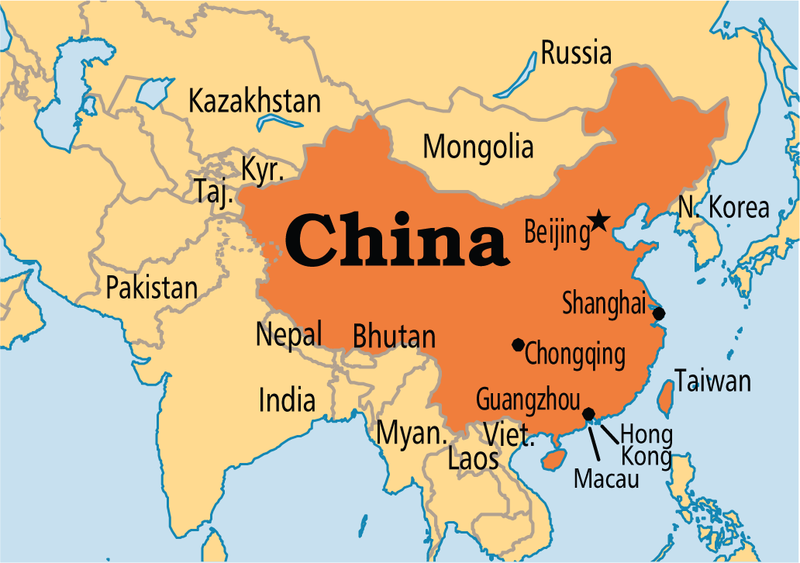 He is forced to remain in China where he is kept under strict police surveillance. 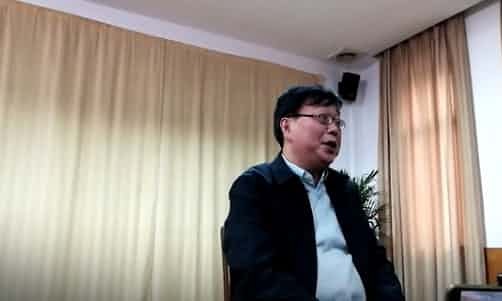 (by Tom Phillips, UK Guardian) BEIJING –Three weeks after he was snatched from a Beijing-bound train, Hong Kong based publisher Gui Minhai (who has Swedish citizenship) has resurfaced in police custody, making what activists denounced as a [coerced] video confession to a series of unspecified offenses. “I feel ashamed about myself. I have made mistakes,” Gui, 53, is filmed telling a small group of reporters who said they had been given access to the prisoner by Chinese security officials. [Mr. Gui, who has published books on the personal lives of Chinese Communist Party leaders, has spent much of the past two years in Chinese custody. He first made headlines in 2015 when he vanished from Thailand and resurfaced in China, along with four other Hong Kong-based publishers. After his disappearance, there were allegations that he had been abducted by Chinese agents across international borders in an extrajudicial process. Chinese officials, however, say Mr. Gui and the four other men all went to China voluntarily. The publisher ultimately confessed to being involved in a fatal traffic accident more than a decade earlier – a confession supporters say was forced. Gui, a Hong Kong-based publisher…had last been heard of on January 20 when he was seized by plainclothes agents as he travelled to China’s capital with two Swedish diplomats. …They had been heading to the Swedish embassy for a medical check-up amid suspicions he was suffering from a rare neurological disease. However, Gui rejected that narrative on Friday as he was paraded before reporters from communist news outlets…. Gui accused Sweden of “sensationalising” his case and tricking him into a botched attempt to flee China. “I fell for it,” he says. “Sweden offered me a plan, and that was to use my medical appointment as an excuse to get to the Swedish embassy in Beijing. And then they would wait for an opportunity to get me to Sweden. “My wonderful life has been ruined and I would never trust the Swedish ever again,” Gui adds. Forced televised confessions have become a hallmark of Chinese president Xi Jinping’s increasingly hardline rule with a succession of government critics – including Gui and the human rights activist Peter Dahlin – appearing on camera to admit their supposed sins. Published at the UK Guardian on Feb. 9, 2018.
b) For what reason did Chinese communist authorities abduct Hong Kong publisher Gui Minhai over 2 years ago? What do you think of Ms. Smith’s assertion? Explain your answer. Several of the images of Gui published by the South China Morning Post show a missing tooth on the right-hand side of his mouth. Speaking to the Guardian last week, his UK-based daughter, Angela Gui, said she had noticed the missing tooth during Skype conversations they had held before his latest detention. “He wouldn’t explain in detail what had happened to it. But I got quite a clear sense that it must have come out during torture or some other kind of mistreatment in custody,” she said. Chinese authorities said Gui was being held on suspicion of leaking state secrets. “He was in incommunicado detention for two years. So who would have told him these state secrets?” questioned his daughter.